Wylie Thunder Road is a Great Place in Aberdeen, SD for Company Parties, Family Reunions, or other Group Events! Thunder Road offers fun for all groups including company parties and family reunions. 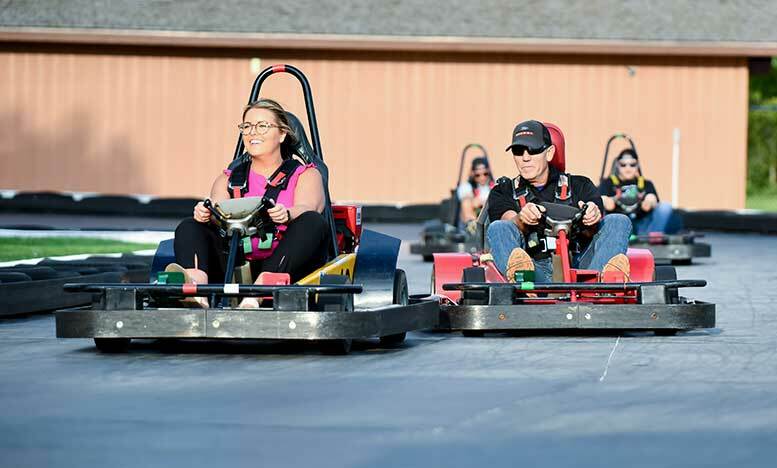 At Thunder Road we specialize in getting you in your Go-Kart fast and giving you one of the best experiences in the area. Minimum of 10 tickets required. Thunder Road offers private parties before or after hours any day of the week. We can also schedule private parties in May & September on days we are not open. There is no minimum or maximum for how many people you can have. Private parties must be booked at least 5 days in advance. Private parties include the go-karts and bumper boats but for an additional fee you can add Euro Bungy, laser maze, or mini-golf. Call Us at (605) 225-8541 or fill out the form to the right to get started booking your event at Wylie Thunder Road in Aberdeen, SD. Call Us at (605) 225-8541 or fill out the form below to get started booking your event. Which special are you interested in? Do you want Thunder Road to make a reservation?